The review today is super special for several reasons ..! 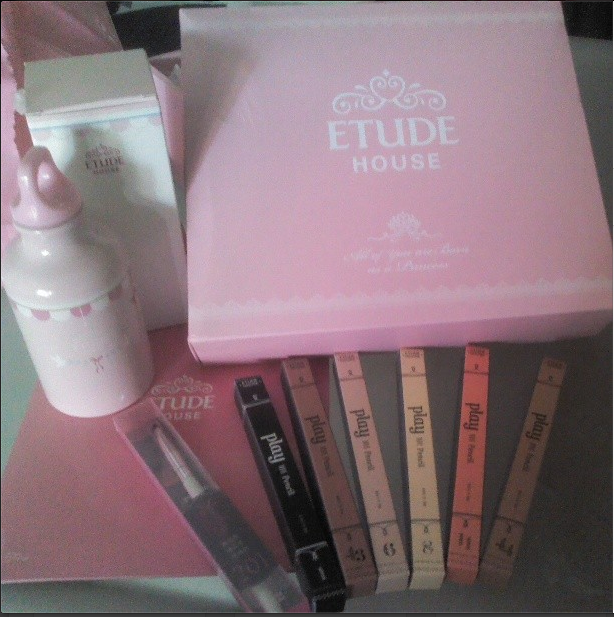 I love, love, venerate the design of Etude House products .. always loved! Just never had the chance to try yet. A few months ago, I was contacted by the brand to be part of a select group called Pink Birds (legend has it that every year, 50 girls are selected to be pink birds worldwide). Last month, they sent to me the April’s version but unfortunately the custom house keept it. Even understand .. so beautiful and full (even full) of amazing products .. would be a luck if it passed by them at our first try. 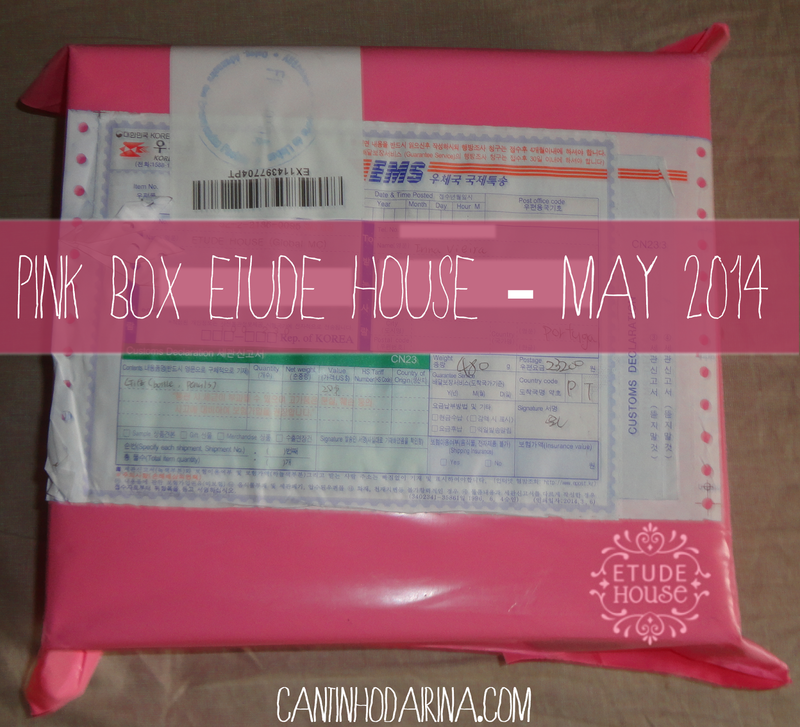 Inside the Pink Box this month, came 6 colors of 101pencil by Etude House .. 1 amazing.. cute.. wonderful.. bottle for giving water to carry in your bag (especially this time that summer is coming.. loved!) 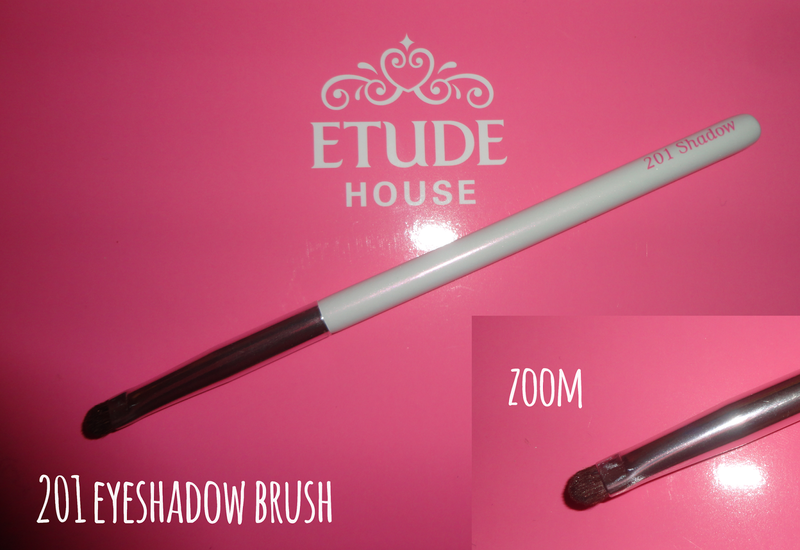 .. And 1 shadow brush # 201 by Etude! They are super easy application .. and can be used both as eyeliner, eyeliner mouth, lipstick, blush, corrector, illuminator etc. .. In addition, still have a sharpener (pointer) itself, if you want a thinner tip and need. The shapener (pointer) is even just for this, because the pencils are retractable. They are super soft. Loved! 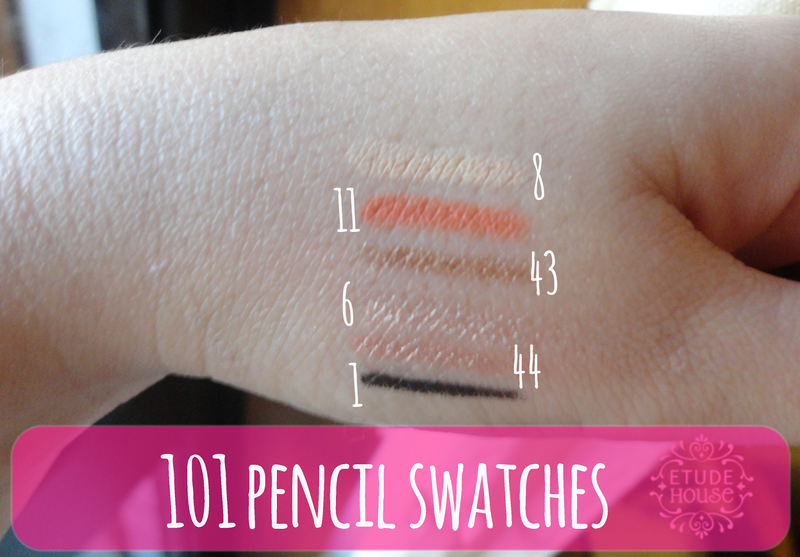 Today I made thw whole makeup using only 101 pencil of Etude! I’ve used 101 pencil in color 1 (block) as eyeliner, the color 44 as eyeshadow, the 43 mixed with color 1at the outer corner of eyes, and the color 6 to highlight under the brows. As blush, I’ve used the color 11. To highlight the face, I used again the color 6. Xxo, and thank you to visit and read me! A review de hoje é super especial.. por diversos motivos! 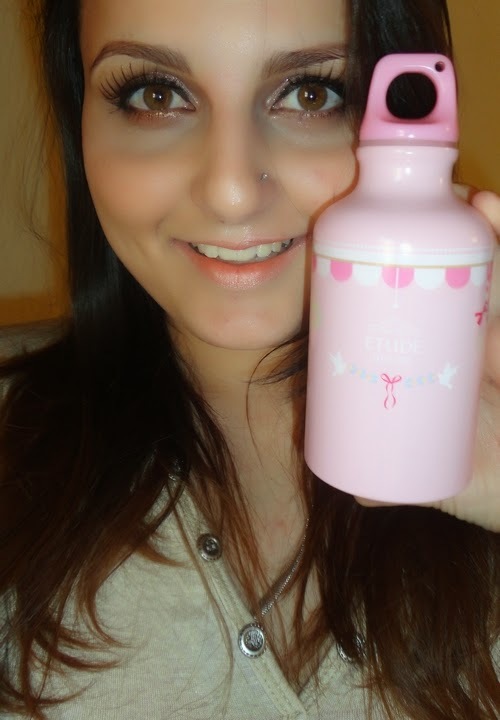 Eu amo, adoro, venero o design dos produtos da Etude House.. sempre amei! Só não tinha tido a oportunidade de experimentar ainda. Há uns meses atrás, fui contactada pela marca para fazer parte de um selecto grupo chamado Pink Birds (reza a lenda que por ano, 50 meninas são selecionadas para serem pink birds pelo mundo todo). Mês passado, foi me enviada a versão de Abril mas infelizmente a alfandega ficou me com ela. Até entendo.. uma box tão linda e cheia (mesmo cheia) de produtos da Etude.. era muita sorte que passasse assim por eles de primeira. Enfim..
Dentro da Pink Box deste mês, vieram 6 cores do 101 pencil da Etude House.. 1 garrafa LINDA para água que dá para levar dentro da mala (principalmente nesta altura do verão.. amei!).. e 1 pincel de sombras nº201 da Etude! Para além disso, ainda possuem um afia (apontador) próprio, caso você queira a ponta mais fina e precisa. O afia (apontador) é mesmo apenas para isto, pois os lápis são retrateis. Fiz hoje uma maquiagem só com os lapis 101 pencil da Etude! Usei o 101 pencil na cor 1 (preto) para delinear, a cor 44 como sombra na pálpebra móvel, a 43 misturada com a 1 no canto externo da pálpebra móvel, e a cor 6 para iluminar abaixo das sobrancelhas. 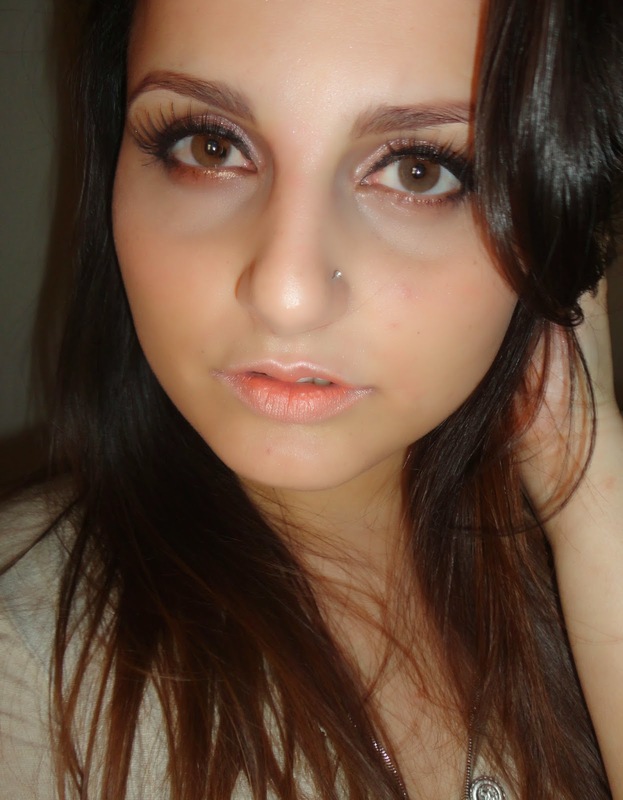 Como blush, usei a cor 11. E para iluminar o rosto, novamente a cor 6. 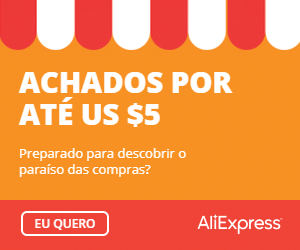 Nos lábios, usei a cor 44 e no meio usei a cor 6 para dar um efeito meio degradê. Que infelizmente, não consegui apanhar na foto. As minhas escolhas de verão! Next PostNext As minhas escolhas de verão! 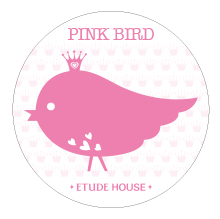 Linda a tua pink bird! I just want to say I am very new to blogging and truly enjoyed this web-site. Probably I’m planning to bookmark your blog . You really have incredible articles and reviews. Cheers for revealing your web site. Actually my blog site name is not appropriate to my blog particular niche. in this time i intend to transform my blog to a web site with blog writer. yet i don’t recognize if i will do it, after that how much will impact my blog site web traffic?. ZjVJAs I really liked your blog article.Really thank you! Great.